Now a days, every smartphone maker is going after selfie centric smartphones. Just two days ago Infocus launched their selfies smartphone M530 with 13MP camera combo on both front and back. Today, Samsung has launched their two smartphones from the Galaxy lineup, called as J5 and J7, and both the handsets are powerful and have good camera specs. However, Samsung has launched the devices only in China and there are no words about the availability of the devices worldwide. The J5 is priced at around Rs. 14,000 and the J7 is priced at around Rs. 18000, however, this may vary a little depending upon region and other economic factors. Both the devices run Android 5.1 Lollipop out of the box. 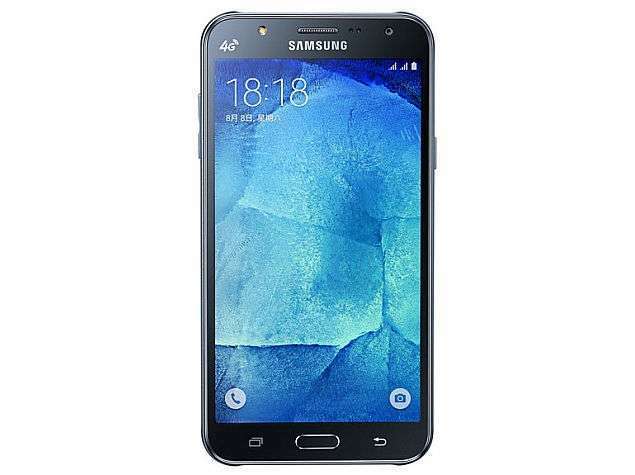 The Samsung Galaxy J5 features a 5-inch TFT display with a HD screen resolution of 1280×720 pixels. The smartphone is powered by a 1.2GHz quad-core Snapdragon 410 SoC coupled with 1.5GB of RAM. t sports a 13-megapixel rear autofocus camera with f/1.9 aperture and 5-megapixel front camera. There is 16GB of built-in storage, which is further expanded upto 32GB via microSD card. The Galaxy J5 houses a 2600mAh battery, and connectivity options include 3G, Bluetooth v4.1, Wi-Fi, NFC, GPS, Glonass and Micro-USB. The Samsung Galaxy J7 comes with similar specifications as the Galaxy J5, but there asre some differences. The Galaxy J7 is has a larger 5.5-inch TFT display with the same resolution, in case of processor it houses an octa-core Snapdragon 615 (four 1.4GHz cores + four 1GHz cores), and a 3000mAh battery rated to deliver 354 hours of standby time. Both the phones are quite similar and the best thing is that people will be able to make a good choice depending upon their needs, one who needs camera most does not need to go for the J7, while people who like more power and performance can go for the Galaxy J7. Next articleWin $30,000 squashing bugs! Google announces Bug Bounty program for Android!